Behold the marriage of art and science. 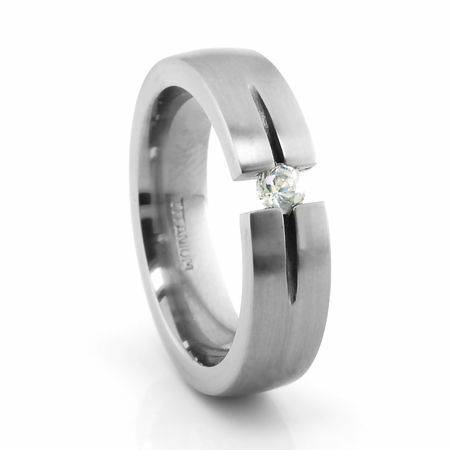 This breathtaking design incorporates a tension set .10ct round brilliant cut diamond in a pure titanium ring. The illusion is that of a floating or suspended diamond. Available in high polish or satin finish. 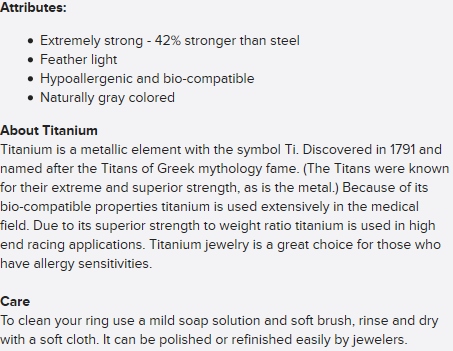 Please allow up to 3 weeks for this titanium ring to be made in your finger size. Some sizes in stock. I purchased this ring for my fiancé and when I received it I was floored by how much more beautiful it is in real life than in the photo. I took it to work and all of my colleagues were very impressed, one who was recently engaged liked it so much that she decided to buy the same one for her fiancé. I got it with the .25 ct diamond and it looks fantastic. 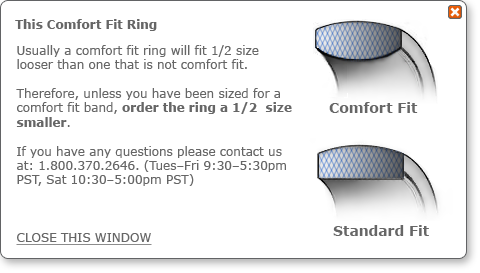 My fiancé did have to try it on as well to make sure it fit because of the 30 day return policy (and the fact that "comfort fit" rings can run slightly different) and he LOVED it. I would definitely choose this one over again if I had to. I LOVE it. Beautiful piece of mens jewelry, i couldn't believe it!! !